Fundraising is 90% preparation. And, we want to help you prepare. 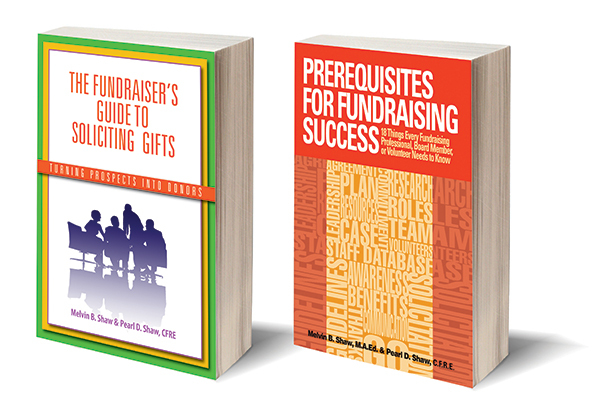 Our books provide you with guidance and direction as you prepare for a fundraising initiative, and when you personally prepare to solicit a gift on behalf of a nonprofit organization or institution you believe in. They are easy-to-read, easy-to-use and include step-by-step suggestions. It’s not how quickly you launch your campaign, but how quickly you raise the money you need. Invest time in preparing and increase your fundraising results.